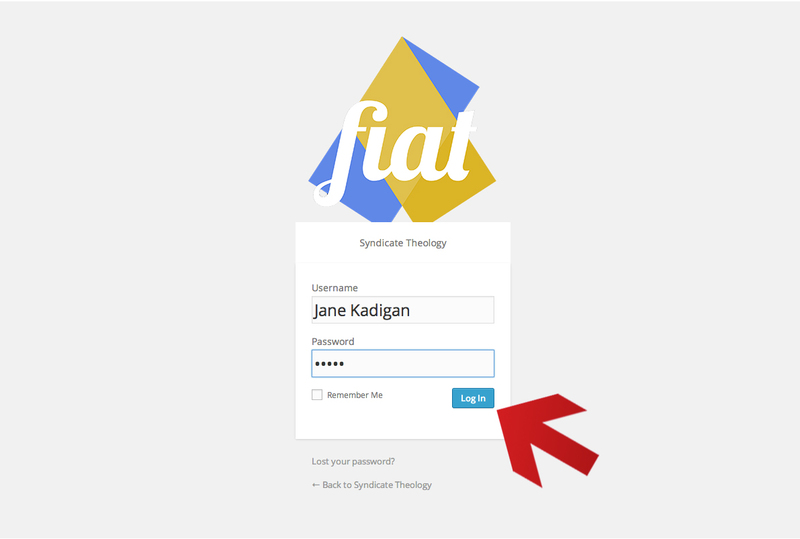 Welcome to Syndicate Theology. We are very pleased to have you as a contributor to our site. 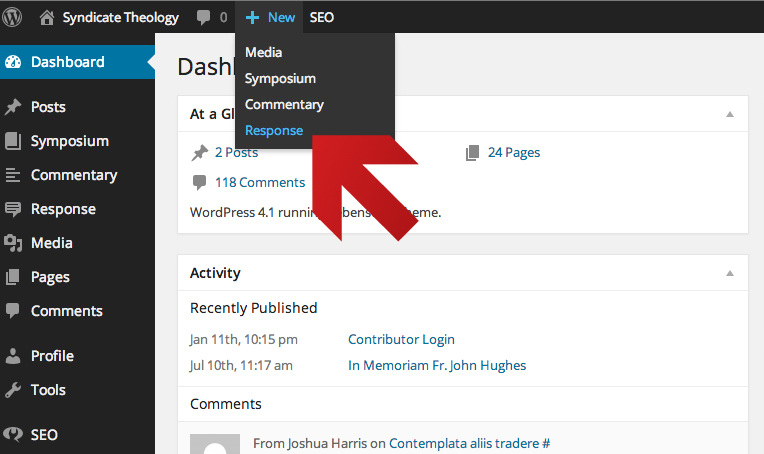 In order to post follow up comments to your post or to other posts within your symposium, you will need to login and create a new post. This is a new aspect of our website, and ensures that your comments receive the same aesthetic treatment as your original post. 1. Once you have clicked on the link to your original post, click the “Log In” button in the top right corner of the screen. 2. 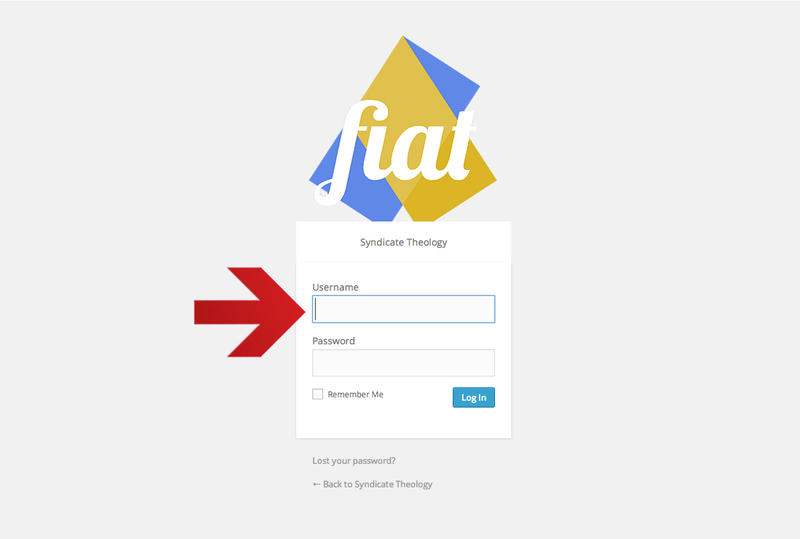 This will take you to the login in screen, where you will enter your user name and password. 3. 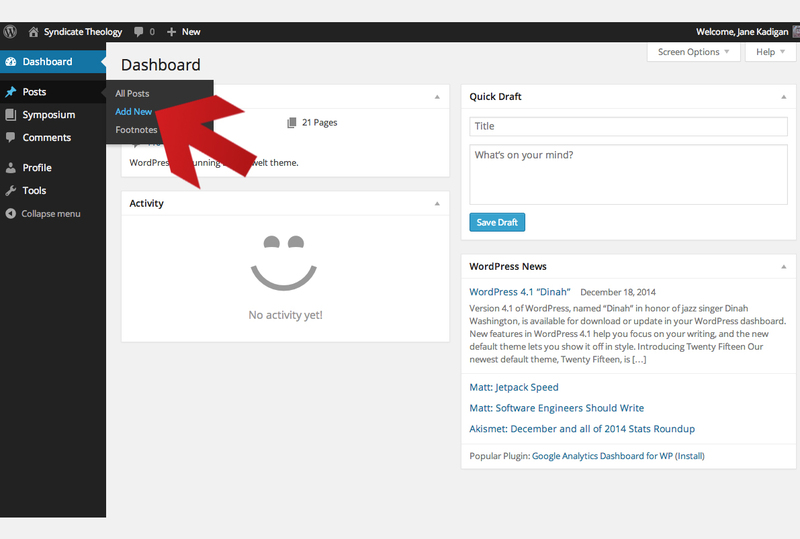 Once you have entered your user name and password, hit the “Log In” button on the lower right. 4. You will then be taken to your Dashboard. To create your new post, go to “Posts” in the left sidebar and then select “New Post”. 5. 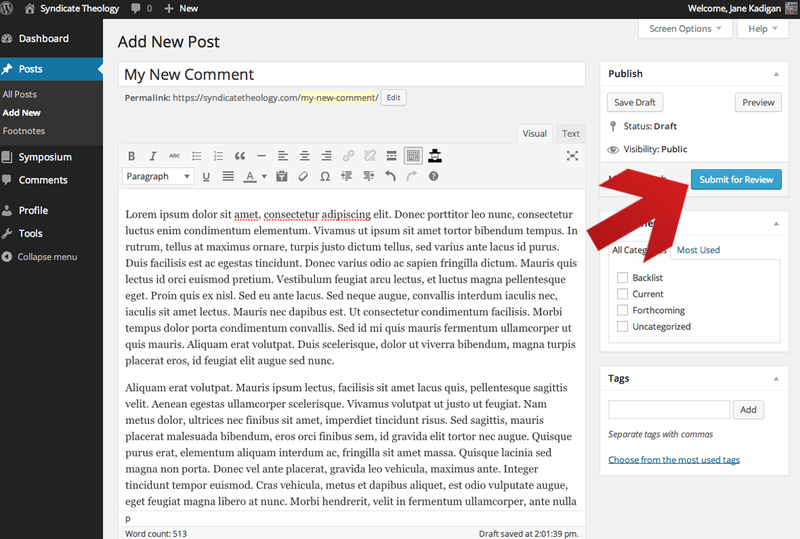 You will now be able to type (or cut and paste from another document) your new post. Before you do, though, you may want to his the button that reveals more options, so you can indent paragraphs if you wish to. 6. Now you are ready to write your post. Please consider adding a unique title to your follow up post, as this adds a personalized touch to your discussion. 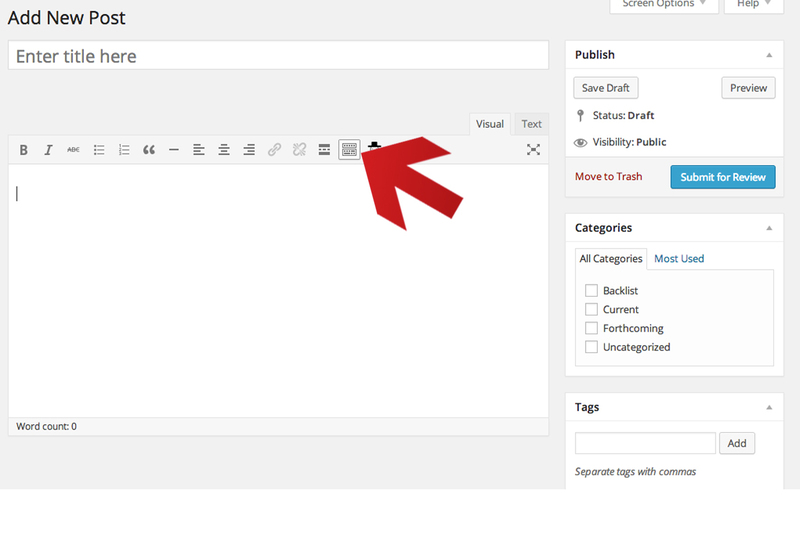 When you are done writing, hit the “Submit for Review” button on the right side. 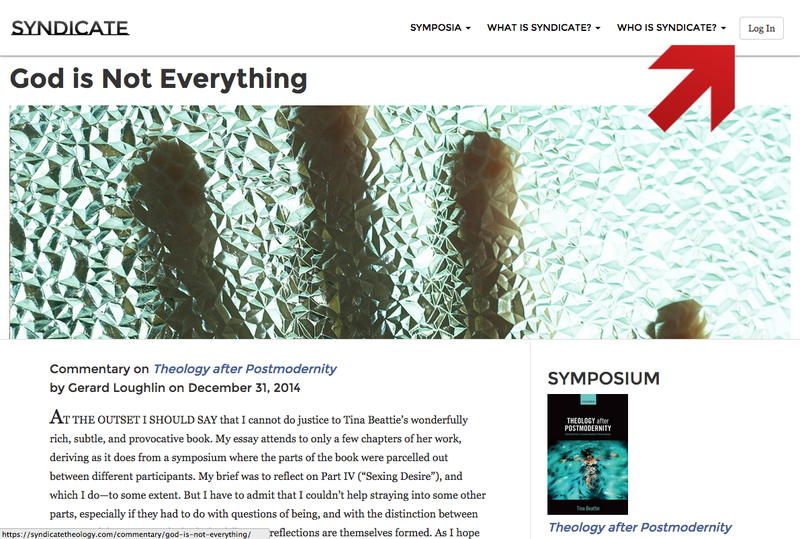 From here the Administrator will review and submit your post to the symposium.